If you are driving there is plenty of free parking is available nearby in the area of Forelands Field Road including the free car park. We are on the No. 8 Southern Vectis bus route which runs between Newport and Ryde. We are a short taxi ride away from Bembridge Village, Bembridge Embankment and Bembridge Airport. If you are on foot, the Bembridge Coastal footpath passes the cafe along the beach. Please call 01983 874270 if you would like to check or have a query. If we don't answer.. we're not there! 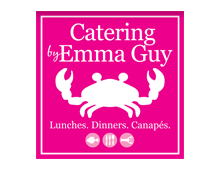 Call Emma on 07832127737 with any orders for food or outside catering requests.